Like most of you, I do love my online yarn shopping. 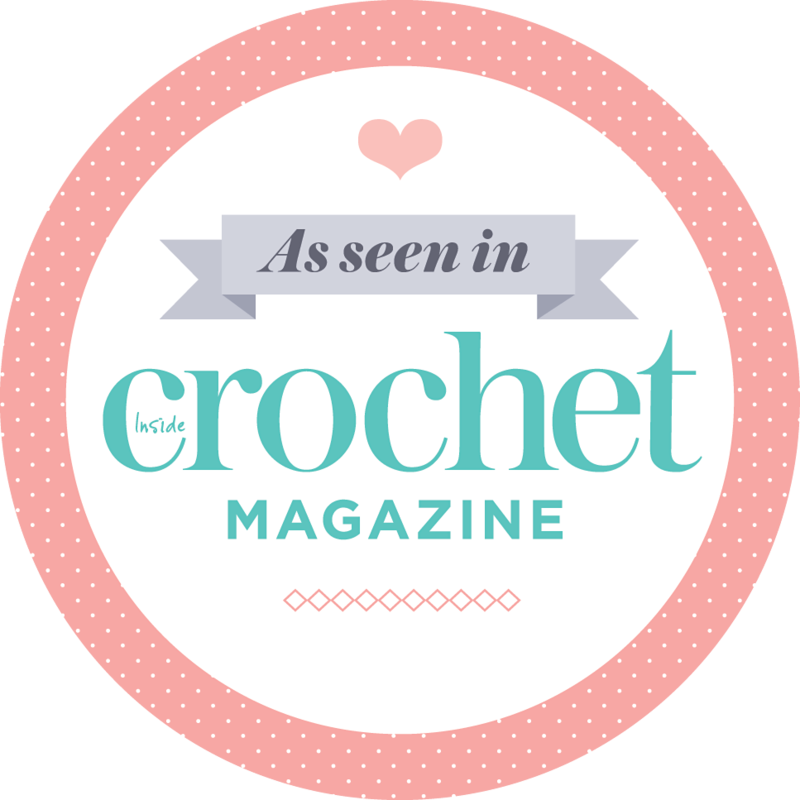 It’s convenient, the websites are very user-friendly, delivery is usually fast, online yarn shops regular send out great voucher codes and best of all you can do it from the comfort of our home. This morning I decided to buy the yarn for one of the beautiful crochet and knitting tops in Marie Wallin’s latest book Filigree. She used Rowan 4-ply Summerlite so I thought I’d do the same. No substituting, no worry about getting the gauge right – all I had to do was decide what colour I want to use for Anemone. I have two favourite online yarn shops: Deramores and Loveknitting, so that’s where I pointed my mouse, expecting to only have to compare the prices of their Rowan Summerlite. Oh dear. This was not going to be as easy as I thought. The shades of Rowan Summerlite on these two sites might as well have been two different brands, they were so different. The Pinched Pink shade immediately stood out for me, but for the wrong reasons. Here is Loveknitting‘s version of Rowan Summerlites shades with Pinched Pink as the main colour. It looks fuchsia pink. Can this be the same yarn? Can it be the same shade? Apparently it is. After reading this blogpost, Loveknitting have corrected the photographs they had on their website. The correct shades are now showing on Loveknitting.com and they left a comment on this blogpost. I know we have to take into consideration computer resolution when looking at colours on a website, but I’m looking at these three website on my one laptop, so the differences are not in my screen resolution, it’s in the way the websites photographed the yarn. I’m hesitant to make any colour decisions now that I’ve seen this. I was leaning towards Periwinkle or High Tide, but how can I be sure of what I’ll be getting? Go look for yourself the differences in High Tide on these three website. It’s quite shocking. What would you do in this situation? It’s probably safest to use the Rowan colour chart to make my decision on what shade to buy. Or do it the old-fashioned way and just go to a bricks and mortar yarn shop. Have you ever bought yarn online expecting one shade, only to find it looking totally different when it arrived? 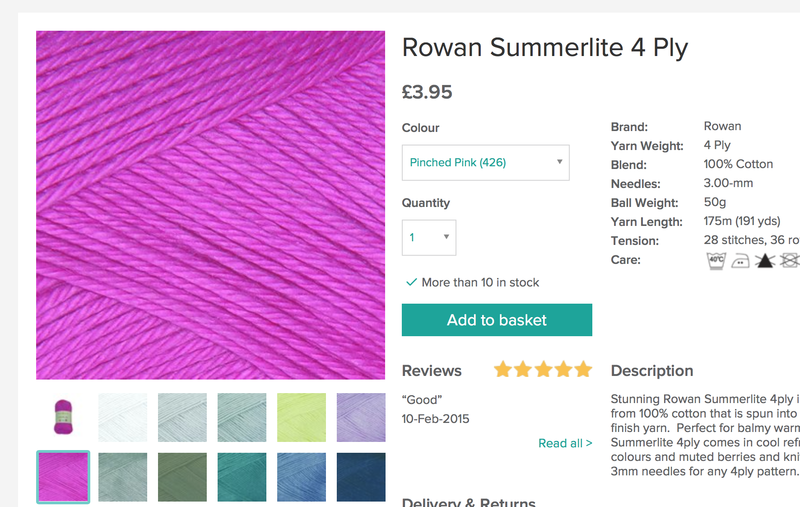 It’s good that you have pointed this out – the images we had for Rowan Summerlite 4 Ply are in fact the wrong shades. We are now working to update them with the correct images that will show the true colour match. This is a rare incident for us as we do take a lot of pride in ensuring our photography shows the colour match as close as possible. We like to give our customers piece of mind by offering free returns for if you are ever unhappy with a shade. Thank you for the feedback and we hope this has helped to reassure you and that you will continue to enjoy lovely yarns with us in the future! Thank you for your email and for taking my blogpost seriously. 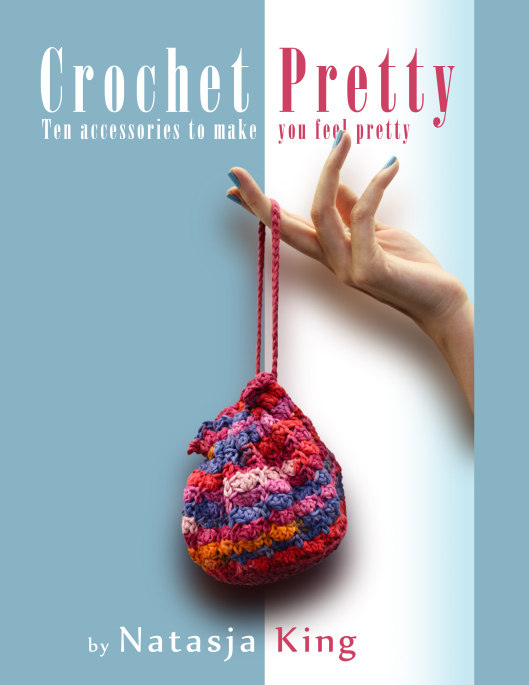 Loveknitting gives excellent customer service, and your email is just another example of that. Thank you. It’s very hard to buy yarns online because the colours can change depending of the screen you have. That’s why I always try to have a colour card and most of the brand sell them now, it’s more easy then to buy what you’d like to knit. It’s also that a shade can appear truly different between two different screens. Very clever way of seeing the real colour! Thanks for sharing. Yup, buying online is a huge problem, especially if you don’t actually know the yarns that you are buying. Good luck with ordering your yarn, I hope that it comes out right! Hi! I shop on line all of the time because from the yarn shop in my city…I save 2.00 to 3.00 per skein, ball, hank. I usually shop from LoveKnitting, I love them. However, I am noticing that Wool Warehouse offers more color choices in the yarn I purchase…Stylecraft yarn, and I am afraid that is where I will be shopping from in the near future when I am ready to purchase again. The difference in those shades you posted were quite shocking!! They really were! I will be certain to check that out too in the future, and thanks for bringing that to our attention. It is frustrating while we go on line and trust the company we prefer to order from only to find something like a shade difference…quite a bit actually!! I am wondering if it wasn’t another brand with a Rowan wrapper….that would be a bummer…. I am in the states, California… and never mind waiting or paying for shipping from the UK., because my deliveries are special. I find that the UK is pretty much on top of customer service, and my packages arrive attractively and promptly…from LoveKnitting. However, I like more choices. So Wool Warehouse I am afraid will become my shop of choice for my Stylecraft yarns. Rowan yarns are just beautiful, aren’t they?? I need to branch out and treat myself to some of the wool yarns they offer one of these days. Best wishes with your project!! Ask if they would be willing to send you swatches of yarn, similar to what thy do with fabric.